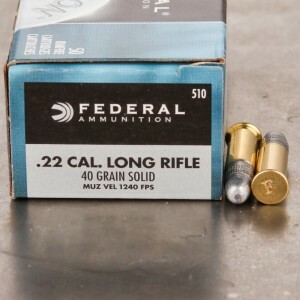 .22 Long Rifle (.22LR) ammo is a rimmed, straight-walled, rimfire cartridge and, in terms of number or rounds sold, the most popular cartridge in the world. 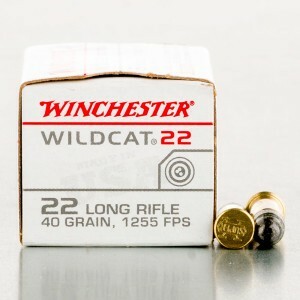 First designed in 1887, the .22 LR was the result of using a .22 Long casing with the longer, heavier bullet of the .22 extra long. 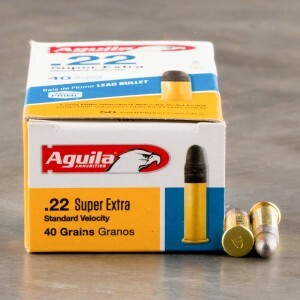 .22LR cartridges are available in an array of velocity offerings, including standard velocity ( about 1,125 feet per second), high-velocity (about 1,255 fps), hyper-velocity (more than 1,400 feet per second) and subsonic (below 1,100 feet per second). 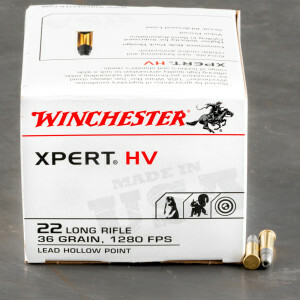 Depending on the combination of velocity and bullet weight, kinetic energy of the .22LR ranges in the neighborhood of 100 to 200 foot-pounds. 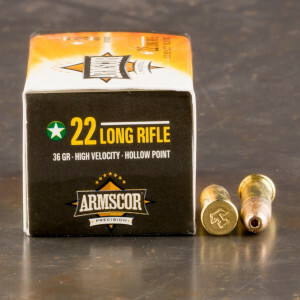 This relatively low energy results in little to no recoil, making .22LR an ideal choice for young and new shooters to develop their marksmanship skills. 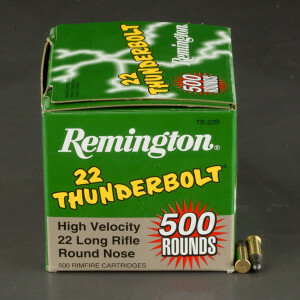 The .22 caliber projectile uses a “heeled” design, where the base of the bullet fits inside the cartridge, and the bearing surface of the bullet is the same diameter as that of the case. 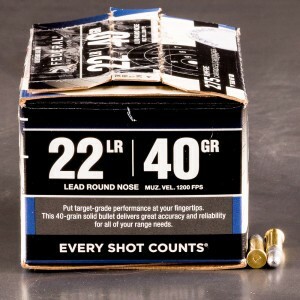 Bullets used in the .22LR today range in weight from 30 grains to over 60 grains, with 36-40 grains being the most common. 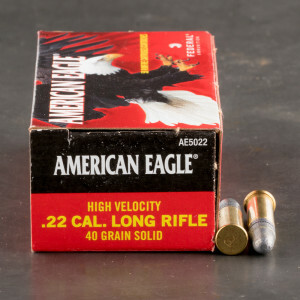 Lighter bullets are commonly used to achieve higher velocities from the same cartridge size, while heavier bullets are preferred in subsonic loadings to maximize kinetic energy at a limited velocity. Today, firearms of all types, from single-shot pistols to fully automatic rifles can be found chambered in .22LR, and the selection of ammunition is just as diverse. 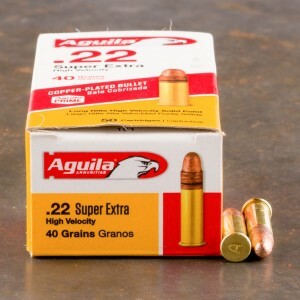 Solid round or flat-nosed bullets are perfect for target shooting while hollow-points are the go-to choice for small game hunters. 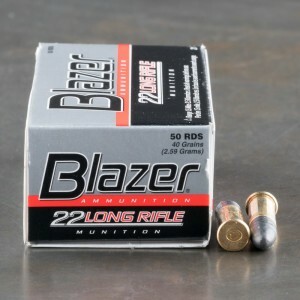 Beyond versatility, one of the biggest contributing factors to the success of the .22LR is its exceptional affordability. 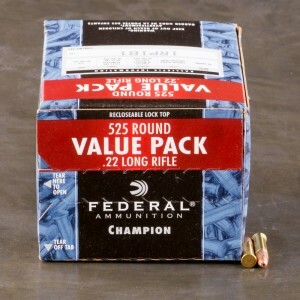 The ever popular bulk packs, commonly called “bricks,” typically contain 500 rounds or more and can fit in your hand. 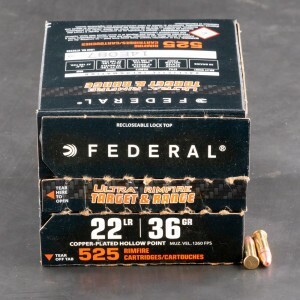 These bricks offer most shooters the chance to enjoy hours at the range for pennies a shot. 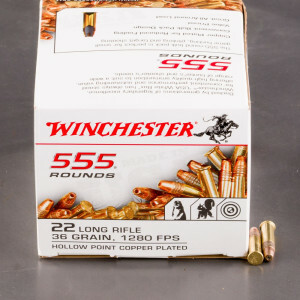 That means more time to perfect your techniques so you’re fundamentally sound, even if you choose to carry a larger caliber as your concealed carry firearm. Check out our line-up of 22 long rifle ammo for sale below. 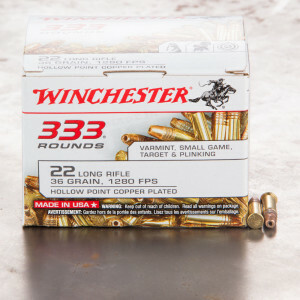 With solid point bullets, soft points and even shotshells, we work to keep a strong line-up in stock so you have a number of options to meet your specific needs.